The internet provides access to data that helps consumers better prepare for a transaction. With home selling, as with many other assets and commodities, relying solely on data found online can lead to poor decision making for both sellers and buyers. Here is a real world example that should cause you to better prepare when it comes time to selling your home. Let's say you had your home on the market and were waiting to put an offer on your next home until you received a good contract on your current one. If you studied data that can be found online, you might assemble something like the graph below. 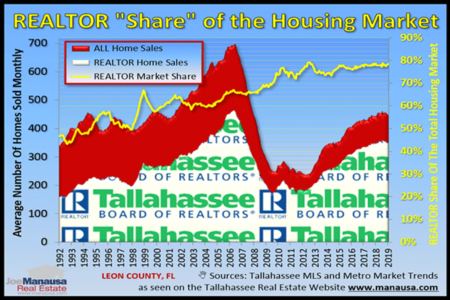 The real estate graph above was created with information taken from closed home sales in the Tallahassee MLS, from 2003 to mid January, 2017. For the purpose of this article, we use the terms "under contract," "pend," and "off market" interchangeably, though for the analysis we utilized the earliest date that the listing agent recognized a contract on the home. By measuring the number of days from the date of closing back to the first date the listing agent recorded a buyer contract, we establish a period that is commonly referred to as "pend to close" within the real estate industry. The blue circles show the average number of days that occurred between contract and closing for homes that have sold in Tallahassee since 2003. Similarly, the red circles show the median number of days from pend to close. The two measurements show that the average is skewed by outlier closings that take significantly longer than the "norm." The median measurement is fairly consistent, so a mathematically inclined home seller could very well reason that the median pend to close time has been less than four weeks for the past seven years, thus using a four week plan to find, contract, and close on the replacement house should be suitable. The analysis above is true and correct (mathematically), but a real estate expert will tell you that you have come to the wrong conclusion. There is deception hidden within the data, and without understanding its impact on the data, you have formulated a conclusion that will cause you to be homeless when you close on the sale of your home. Roughly one in six closings in the Tallahassee MLS were input for the purpose of providing sales data on homes that were sold without ever being marketed in the MLS. This means they report ZERO days from pend to close. Can you imagine the skew (to the left) when one in every six numbers measured is a zero? Additionally, many listings in the Tallahassee MLS were manipulated by the listing agent in order to appear to be better at selling homes that what is really true (for more information on MLS manipulation, you should READ THIS). A real estate expert who tracks all trends in the market is going to tell sellers to prepare for a pend to close period between forty five and sixty days in order to account for the majority of issues that will result from the mortgage process of the buyer (unless the home is likely to be purchased by a cash buyer). Expertise is rarely valued by a home seller until it is too late and a significant amount of money is lost. Don't let this happen to you! 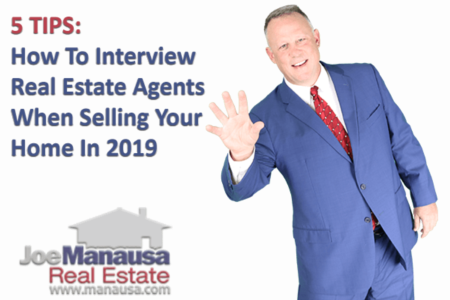 Take the time to find the real estate expert best suited for selling your home by interviewing several agents that are prominently featured online and who has amassed raving reviews from past clients. You should figure that if hundreds of people are saying they received 5-star service from the agent, then you likely will too. Simultaneously, if an agent tells you they sell a lot of homes and yet you cannot find many reviews of them by past customers, shouldn't you be concerned about the results they have delivered in the past?